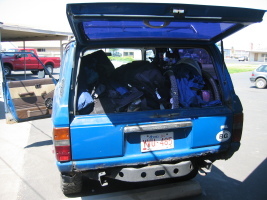 After finishing work in California for the summer, Dow joined me and we both drove back to Calgary together. 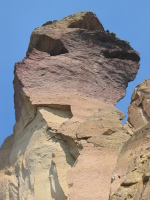 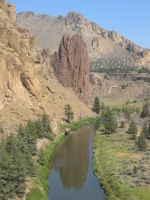 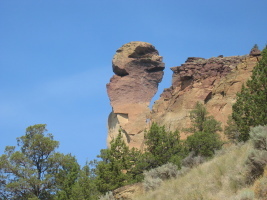 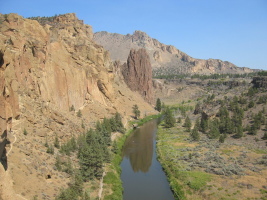 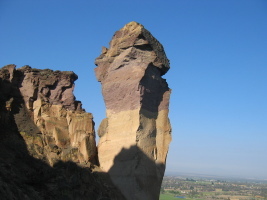 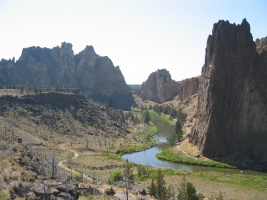 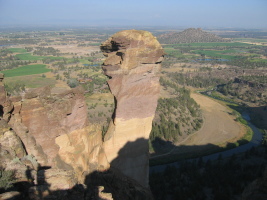 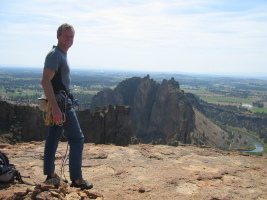 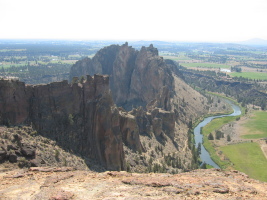 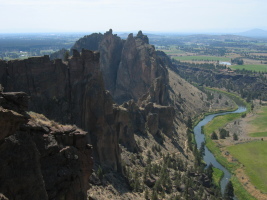 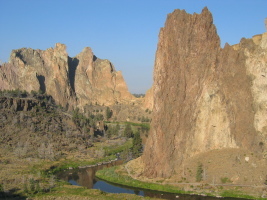 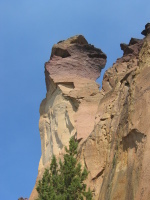 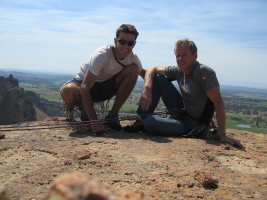 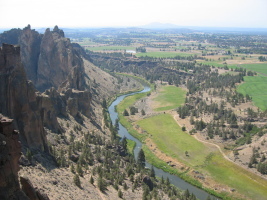 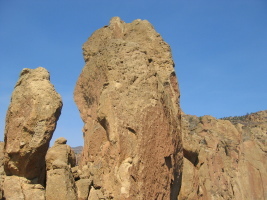 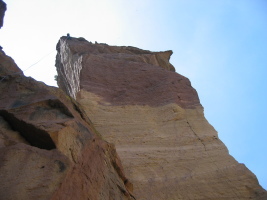 On the way, we stopped at Smith Rock, Oregon, for a couple of days of rock climbing. 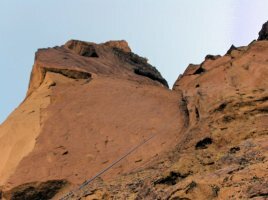 On saturday, we got there late, and did a small two-pitch 5.6 climb to get a feel for the rock. 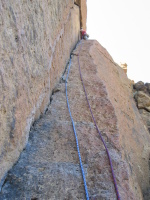 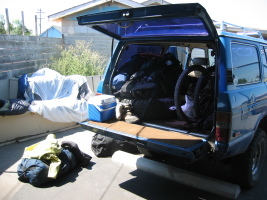 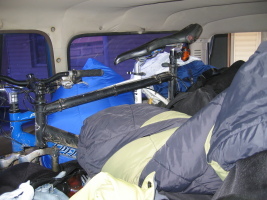 Then we hopped onto Moonshine Dihedral which is a 4-star 5.9 in an area called "the dihedrals". 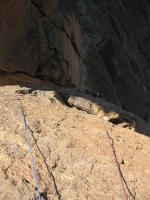 It was a lot of fun, and we both thought on the hard side. 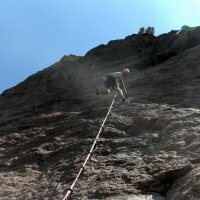 On the next day we got up early and did a 5-pitch route on the Monkey Face, which hosts one of the world's hardest sport routes "Just Do It" (5.14c) and a variety of other 5.13/5.14 routes. 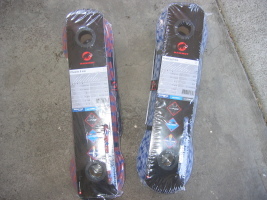 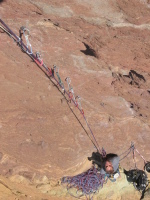 There's also a bolt-ladder which allows you to aid your way up the hardest part (A0). 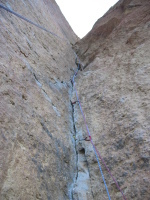 We did not bring aid gear with us but the bolts were extremely closely spaced and I just pulled up on quickdraws, reaching up for the next bolts on the way up. 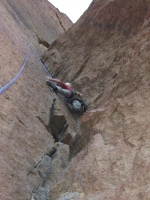 Quite quickly it was over with, and after an awkward move to pull into the monkey's mouth (cave), I brought Dow up. 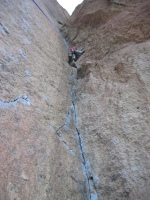 The next pitch, called Panic Point, was supposedly the steepest/most exposed 5.7 in North America. 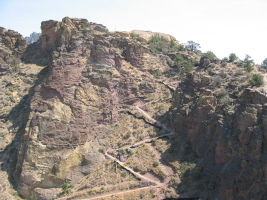 Possibly that's true, but it had lots of bolts, and was very short. 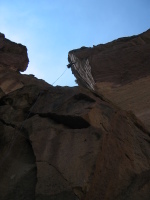 The climb overall was quite enjoyable! 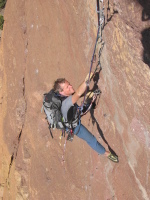 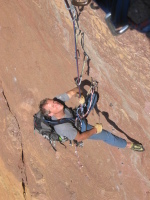 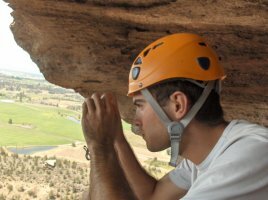 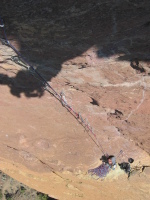 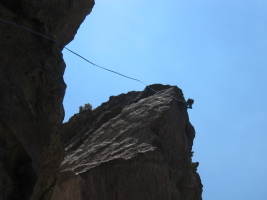 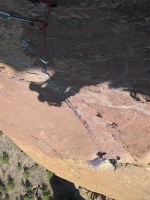 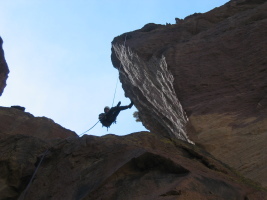 A free-hanging double rope rappel brought us to the ground, and we drove to Washington that day.